Creating a visual novel with Unity3D. 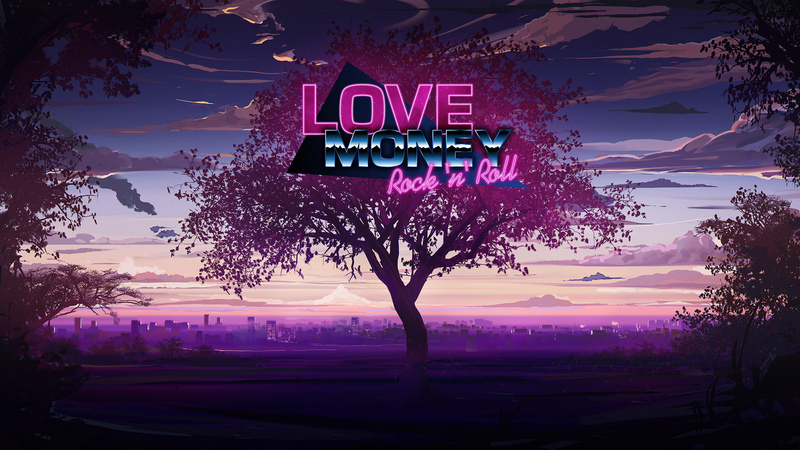 «Love, Money, Rock'n'Rol», or LMRnR for short, is a visual novel set in the Eighties, Japan, combining mystery, drama, romance, and, of course, rock'n'roll into a story full of love, intrigues, music, betrayal, and self-sacrifice. It is our first commercial project after the great success of Everlasting Summer, and we would like to share some details of the game's development so far. The first thing we had to figure when starting to work on "Love, Money, Rock'n'Roll" was the game engine – what we wanted of it, what we would be able to do with it, how easy the development process would be. Unity3D was an easy choice – it is versatile, developer-friendly, powerful, and has a big knowledge base with a great community of creators. Next, we looked into Unity's asset store; however, after doing our research, we realized that no premade solution there could ultimately suit our needs. We needed something we would know the ins and outs of, something we would be able to freely modify and change no matter the tasks that may arise in the future – for our current project or any one to follow. Additionally, we wanted to be able to structure our syntaxes in a familiar and easy-to-understand way, which would allow for untroubled transition from RenPy, the engine we used for our first project – a free visual novel "Everlasting Summer". Thus, we started to develop our own Unity3D-based visual novel asset and have been working on it ever since. One of the most important things for catching and keeping the players' interest in a visual novel is the graphic quality, which, in our case, brought the need to use quite heavy, resource-consuming images. Considering that we planned to release the game on mobile platforms as well, this called for efficient ways of memory consumption optimization. Here we found great use for Resources.LoadAsync and Unity's splendid profiler – they allowed us to pinpoint the "narrow" parts of the script and better distribute the resource load. The game's script itself is contained in a text file and, as the game reads it, it pre-loads and unloads character sprites, backgrounds, and music. The sprites are split into parts, so if one of them uses a single base pose with several, say, hand positions or emotions, we only need to load it once and then unload it after it has been used the needed number of times. The game uses a pre-created pool of resources for each of the characters – the necessary parts are taken from it when needed and put back when no longer required. One of the problems we encountered was the part transparency and sprite parts' visualization through each other, but it was ultimately solved with a self-written shader. As "Love, Money, Rock'n'Roll" takes place in the Eighties and relies significantly on that time period in terms of the story, it was very important for us to portray and recreate the look and the feeling of it. One of the ways to do so were the highly detailed backgrounds full of authentic details. One of the difficulties we encountered with this approach was searching for the right reference images – finding good photos of the Japan of the Eighties, especially of the interior and mundane, everyday objects, turned out to be a challenge. It took us a while to learn what search requests should be used and where the needed resources may be found. Among other things, we were able to draw a lot of information from documentaries and old anime (Japanese cartoons, for those unaware). We create our backgrounds using mixed techniques. First, the whole environment is modeled in 3D, then the resulted render is processed in a 2D editor and acquires a more stylized look. The 3D base allows for a much higher density of details and processing options. This is especially useful when making background variations for different times of the day, giving us the ability to create a completely new illumination with new shadows and overtones. Additionally, as we go along and our 3D object storage expands, it allows for faster and more convenient creation of new scenes. The same technique is also used for the event CG creation. The character artist already has the background mostly created for him. He only needs to add a couple touches and can focus on drawing out the characters into the environments, thus saving a lot of time and allowing for a more efficient workload. Our choices in music for the game were also highly defined by the time period the story takes place in. In our over-three-hours-long soundtrack, you will hear a lot of NewRetroWave and Rock'n'Roll, the two styles that were very strong in the Eighties. We do not, however, shy away from and so acknowledge the strength of the "classic" for VN violin- and piano-based music, adding it to the mix when necessary. Different tracks are used to add to a particular scene's atmosphere and feeling, giving it a better direction and emotional impact. One other very important aspect of the game is the ambient sounds. We try to accompany every particular movement, every action with a specific sound. This adds greatly to the readers' immersion into the story and the game. 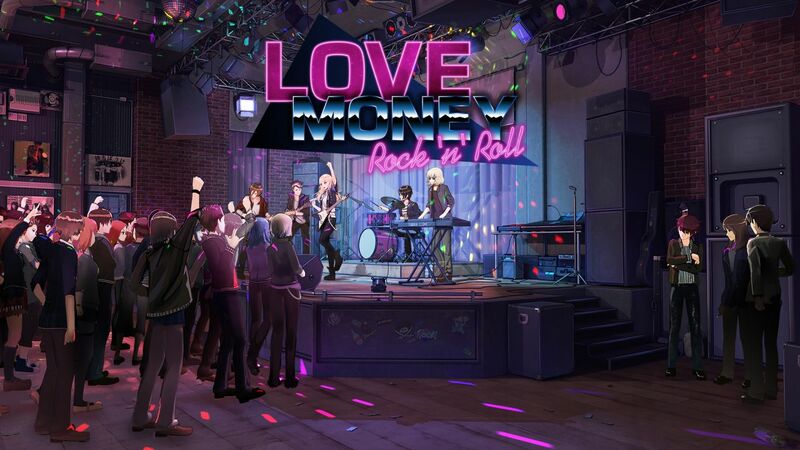 Among other things we would like to add to "Love, Money, Rock'n'Roll" are background animations. Thanks to the nature of our background images (explained above), and the experience our artists possess, this should be a relatively cost-efficient thing to make while bringing a lot of life and value to the game's environments. Next are character animations, created using Live2D – a software that allows turning 2D character images into pseudo-3D animations that are relatively easy and quick to make while looking natural and pleasant for the eyes. We believe that with these additions, LMRnR will become an even better game, full of life and captivating experiences. We are continuing the development of a Unity3D-based asset for visual novels. We have recently released a demo version of «Love, Money, Rock'nRoll» and launched a Kickstarter campaign for it. We would appreciate if you could check them out. We also plan to fully port our previous free visual novel, Everlasting Summer, to Unity3D using this asset. Compared to the current version, it will also greatly decrease RAM and CPU resource usage, increase performance, and significantly improve stability. I'm amazed by the visuals... I would never guess that those scenarios were 3D with post processing to look like drawings... it seemed to me like very well-made drawings. I would love to know more about how to do this kind of post-processing, it looks so great! I'm working in a visual novel for my first project in game design university, and altough I have a notion on how to make most mechanics, it would be very helpful to know how to make this kind of graphics. Anyway, great work! Thanks for the insight, now I know that something like this is possible.